Comment: We are moving and we need our apartment painted. It is a second floor apartmetn (we own the home) it has two bedrooms, one bathroom, a living room, kitchen, hallway and stairwell. We'd like an estimate for unoccupied vs occupied and for ceilings and walls vs just walls. We are looking to finish moving in the first half of May and have it ready for tenants to move in 6/1 or earlier. Comment: Trim paint around the dog ears doors, etc. Comment: I would like to get an estimate for interior painting for one story home. House was burnt down a little while ago. I'm looking at about 4 rooms to be painted. Everything but the kitchen. Westbury Painting Contractors are rated 4.76 out of 5 based on 1,219 reviews of 59 pros. 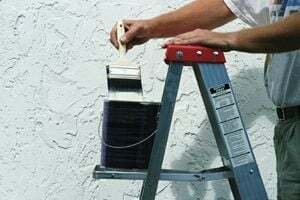 Not Looking for Painting Contractors in Westbury, NY?